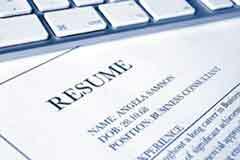 A fantastic resume is one that tells the reader who you are and how you can help them. During this workshop, participants will learn how to craft such a resume through instruction, hands-on exercises and critiquing of real resumes. Participants will walk away with the tools necessary to create a document that features individual accomplishments, strengths and interests. Please read: All registrants must email their resume (with contact information removed) to turningleafcareerconsulting@gmail.com before the workshop date.